All Print Shops are not the same, some adopt new technology and make better products. All printing companies are not the same, some are better than others. This is true of all businesses. In printing what is required to excel is investment in new technology and the ability to properly manage the equipment. 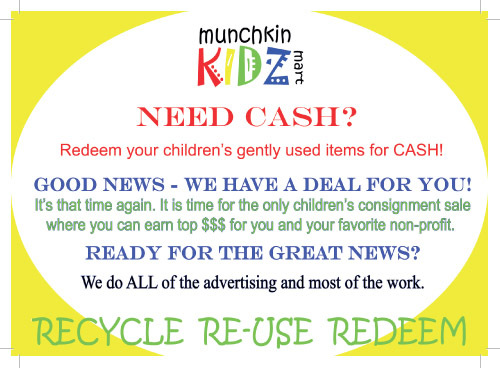 At Just Click Printing we strive to do this. Our most recent improvement is in the area of Color Calibration. We have invested in a Spectrophotometer from X-Rite. This instrument measures the ink on our printed sheet for tolerance to the highest industry standards like Gracol and G7. 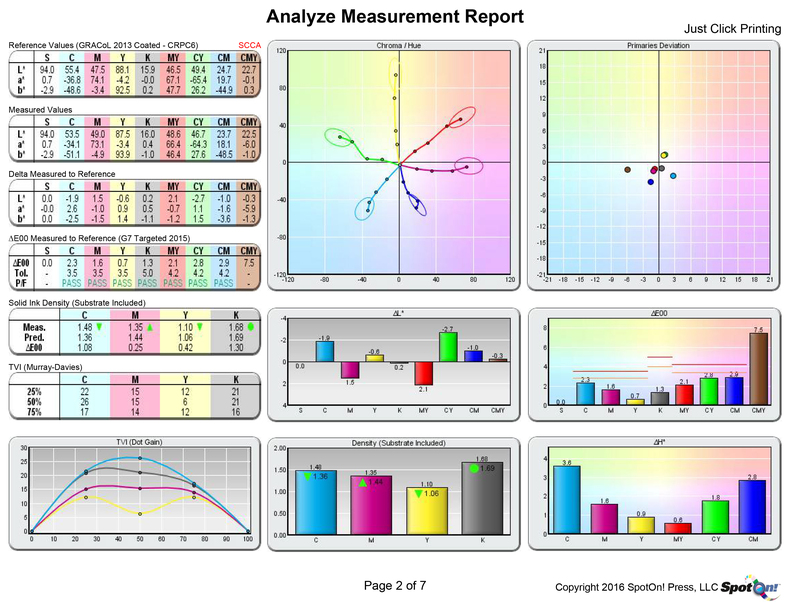 Then using a program called SpotOn we can measure your project and get color analysis reports showing how our equipment and staff are performing. We try to get better every day. We work to make your project the best it can be. This is a sample report from a recent project. We have happy to say all of our colors passed. 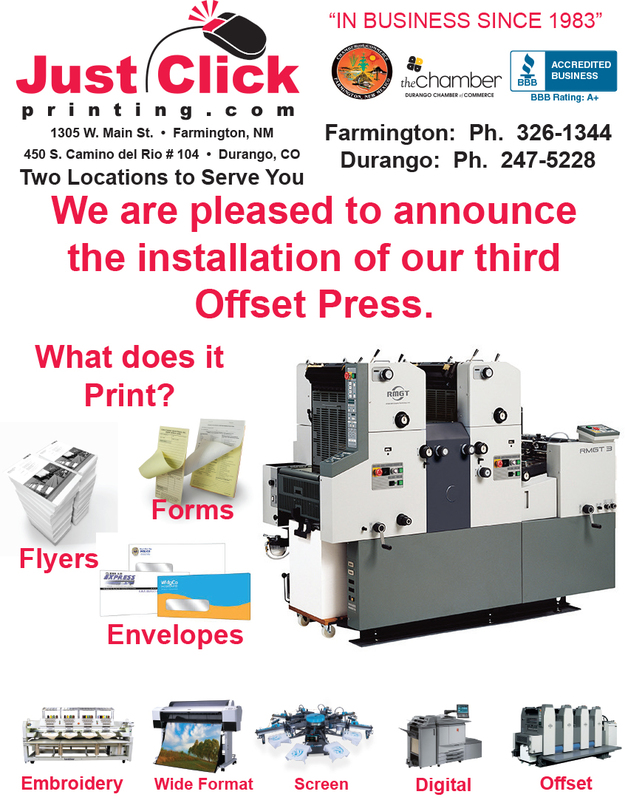 We are pleased to announce the installation of our third Offset Press. This is our second two color press. This press will be running Forms, Envelopes, and Flyers. Our commitment to offset printing is strong and growing. While digital printing is a growing part of our business the digital equipment still struggles to keep pace with the offset equipment. If you need large volume printing offset is still the way to go. We operate both digital and offset equipment so that we have the right machine to produce your print project. Carbonless forms are one of our specialties. One of of our most recent jobs was the smaller form, a 3 part carbonless form, with a white, yellow and tag sheet. The tag is a card stock that allows the form to be attached to equipment or to be kept in a shop environment for other uses. Our customer needed 1000 of these forms, with consecutive numbering. We do carbonless forms for all types of customers, ranging from doctors to oil field servicing companies. 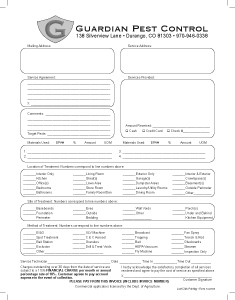 These particular carbonless forms were for the ski rental company, Gold Medal Sports in Durango, Colorado, and for Guardian Pest Control. The Gold Medal form is 4.25″ x 11″, an unusual size, since most are standard sizes, either 8.5″ x 11″, 8.5″ x 14″ or 5.5″x 8.5″, either single carbonless form sets or made into books of 25 or 50 sets per book depending on whether the form is a 2-part, 3-part or 4-part form. The Guardian form is 8.5″ x 11″, 2 part form(white and yellow copies). We design and typeset these forms, send a proof for approval, and print whatever quantity is needed, and get them to the customer in a very reasonable time frame, generally within a week after approval of the proof. 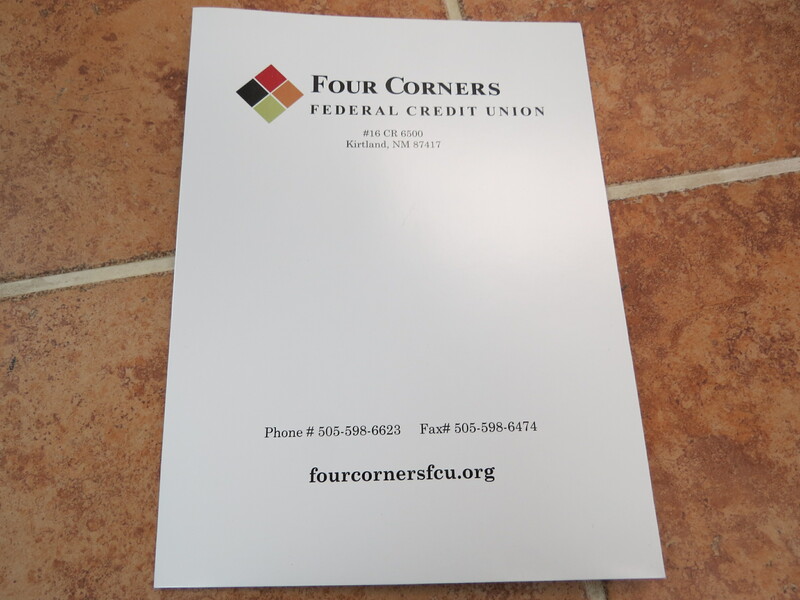 The forms can be sequentially numbered, perforations can be added as needed and the back of the sheet can also be printed. We print most carbonless forms with black ink, but have customers who request two color forms, or even full-color forms. We do this type of forms for customers nationwide, and offer free shipping. “Carbonless” refers to forms that automatically write through from the front sheet down to the following sheets. They come in standard pre-collated sets of 2-3-4-5 parts. Sheet colors in standard sets are white, yellow, pink, and gold, with the 5 part sets adding a green sheet. Non-standard sets can be printed with sheet colors in any sequence, and can include blue sheets and manila or white tag as the final sheet. We even have one customer who uses a 7-part set. These forms are frequently invoices, invoice books, sales order books, requisition forms, rental forms, repair forms, garage forms, merchandise order forms, log books or inspection forms. Let us know what you need and we can help. Payne Auction, a local auction company in Bloomfield, New Mexico does auctions all over the country. We printed this flyer with four color process on two sides. 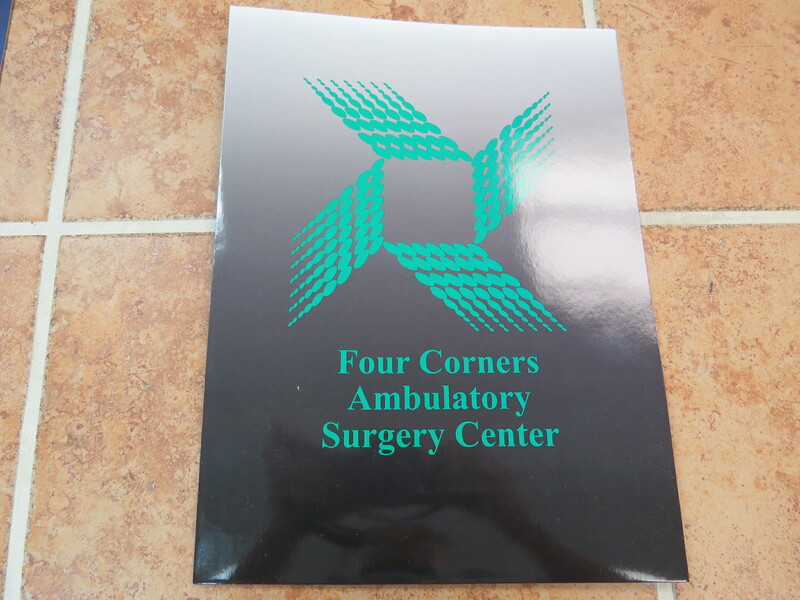 The printed was done on our four color Ryobi 524 GX Press. The Graphic Design for this project was done by Fred Willmon of Just Click Printing. 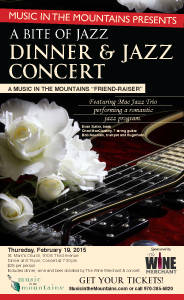 Recent jobs for Music in the Mountains, Durango, Colorado, include posters and brochures which publicize the many activities of the organization. The Conservancy brochures were printed in full color on 100 lb. gloss text, tri-folded and 1000 were delivered early this week. The posters were printed on 100 lb. Gloss Cover, 11 x 17″, and delivered a week ago on Feb. 15. This customer presents a series of concerts and musical events each summer, plus additional events year round, one of the premier events organizations in the Durango, Colorado, area. San Juan Medical Foundation in Farmington, New Mexico with a great idea: What if people gave up their coffee for a day to help someone else? In order to make the plan come to life, they needed a donation card. How about one in the shape of a Latte? Just Click Printing.com is the place to handle this custom printing project. 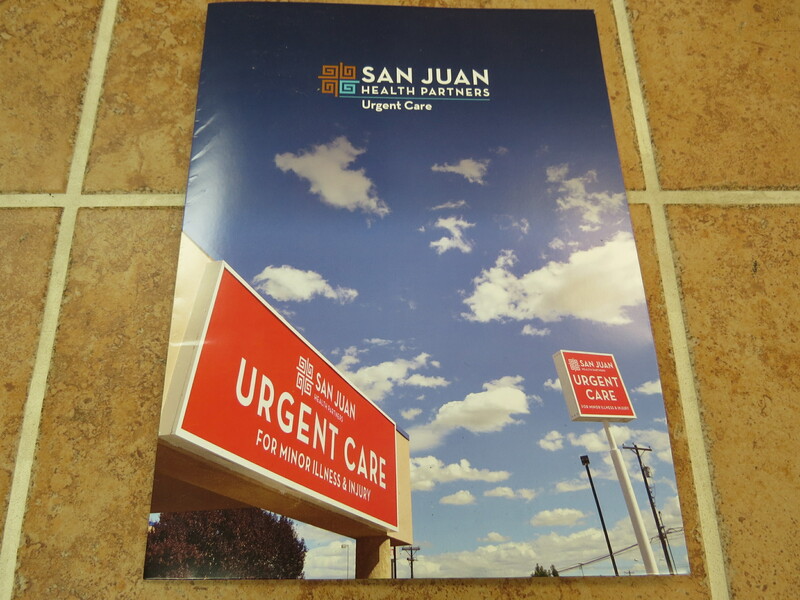 To make this project come to life San Juan Medical Foundation needed Graphic Design, Printing and Die Cutting Services. The cards are in production now and will be ready in about a week. 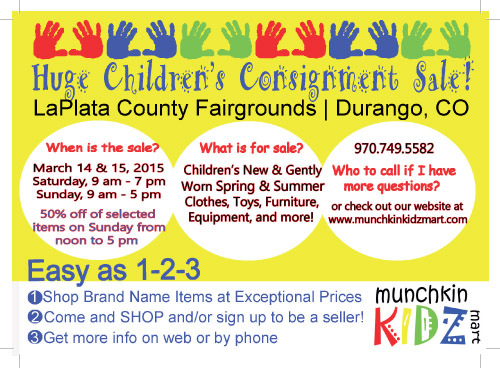 Look for these items in and around Farmington, New Mexico.